In 1638, Winthrop Jr. paid Masconomet £20 for a quitclaim deed to some of the sagamore’s personal landholdings. This first deed specifies farmland along present-day Argilla Road between Labor-in-Vain Creek and Chebacco Creek, including Sagamore Hill. 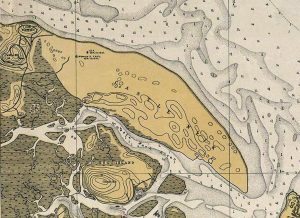 Winthrop Jr. noted this sale in his papers, but did not occupy “Argilla Farm” or Sagamore Hill or Castle Hill on Plum Island Sound beyond. 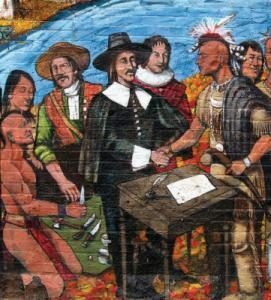 He was intent instead on founding colonies in Connecticut. Later in 1638, Masconomet sold the entirety of “Agawam” (Salem to the Merrimack River) to the Ipswich colonists for another £20. Winthrop Jr. sued in the Massachusetts General Court for reimbursement of the purchase price for the first deed and won. In 1644, after moving to New London, Connecticut, Winthrop Jr. deeded Castle Hill to his Deputy Governor and brother-in-law, Samuel Symonds. In 1910 the Crane family acquired the property, which is now managed by the Trustees of Reservations.27 The locations of Agawam Village and Masconomet’s homestead on the Castle Neck River and information about the place of the Pawtucket in local history have been suppressed, withheld from the pubic. I Masconnomet, Sagamore of Agawam, do by these presents acknowledge to have received of Mr. John Winthrop the sum of £20, in full satisfaction of all the right, property, and claim I have, or ought to have, unto all the land, lying and being in the Bay of Agawam, alias Ipswich, being so called now by the English, as well as such land, as I formerly reserved unto my own use at Chebacco, as also all other land, belonging to me in these parts, Mr. Dummer’s farm excepted only; and I hereby relinquish all the right and interest I have unto all the havens, rivers, creeks, islands, huntings, and fishings, with all the woods, swamps, timber, and whatever else is, or may be, in or upon the said ground to me belonging: and I do hereby acknowledge to have received full satisfaction from the said John Winthrop for all former agreements, touching the premises and parts of them; and I do hereby bind myself to make good the aforesaid bargain and sale unto the said John Winthrop, his heirs and assigns for ever, and to secure him against the title and claim of all other Indians and natives whatsoever. As sagamore, Masquenominet was the hereditary head of an alpha or high-ranking family in his patrilineal. 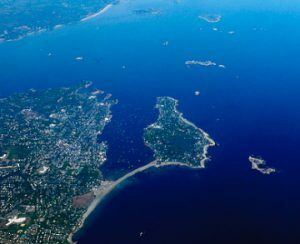 He was the authority figure for the macro-band of interrelated extended families occupying Essex County from the Merrimack River to the North River and from Lowell to Cape Ann. He was responsible for allocated and redistributing subsistence areas to the families, which is why he was the one signing the deeds. At the same time, Masquenominet paid tribute to a sachem, a leader from the most numerous and/or most powerful and/or prestigious band, whom the bands chose to lead them all. 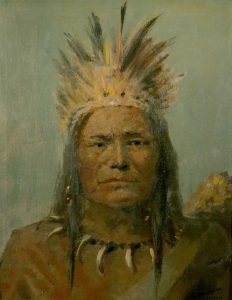 The acquired status of sachem is closer to the European concept of chief. When inherited status and acquired status coincided, the roles of sagamore and sachem were sometimes played by the same person. At that time, the Tarrantines also kidnapped Sagamore James’s wife, Wenuchus (or Wennunchus), a daughter of Passaconaway, who was later ransomed and returned. Thy mountain-born brightness glanced down to the sea. The plunging of otters, the light dip of oars. And the hills of Pentucket were tasselled with corn. Or the mower his scythe in the meadows had swung. And against the red war-post the hatchet was thrown. Wove her many-hued baskets and bright wampum braid. Of sorrow would swell for the days which have gone. The dip of the wild-fowl, the rustling of trees.